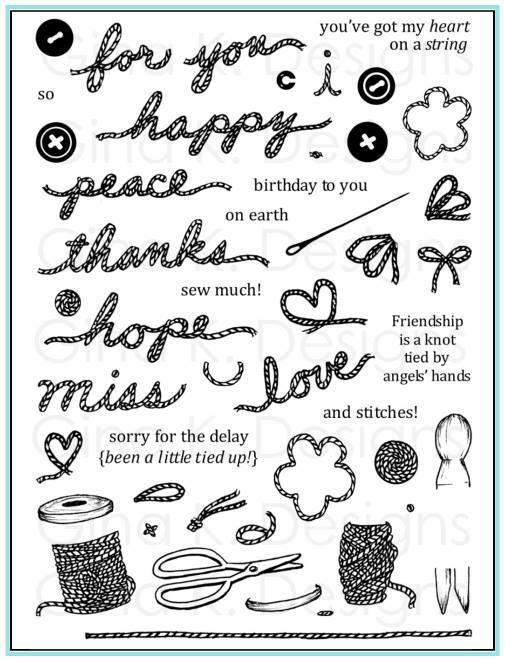 Hands, Head and Heart: Stamp n Foil Holiday Release Blog Hop! Stamp n Foil Holiday Release Blog Hop! Hello! Thank you for joining the Gina K. Designs team today in a blog hop for the new products Gina is releasing for the holidays with Therm-O Web. Lots of fun, wintery goodies that almost makes me think it *just might* get cold here again one day! These two collections we are showcasing are limited edition, so if they strike your fancy ("foil", ba dump bump!!) , get 'em while you can! As you hop through each of the blogs, please leave comments for our designers about which projects excited you (we SO appreciate hearing what we've created for your inspiration makes you want to go make something! 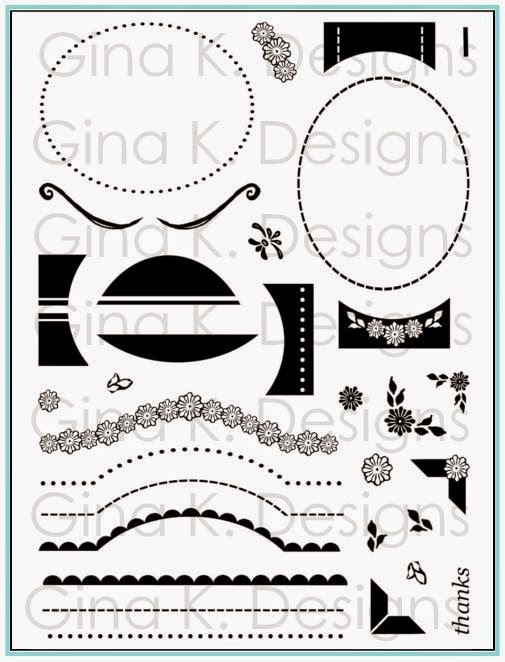 ), and each comment will be entered as a chance to win $50 to shop with at Gina K. Designs! check the StampTV forum for an announcement of the winner a few days after the hop. Now, let's go! 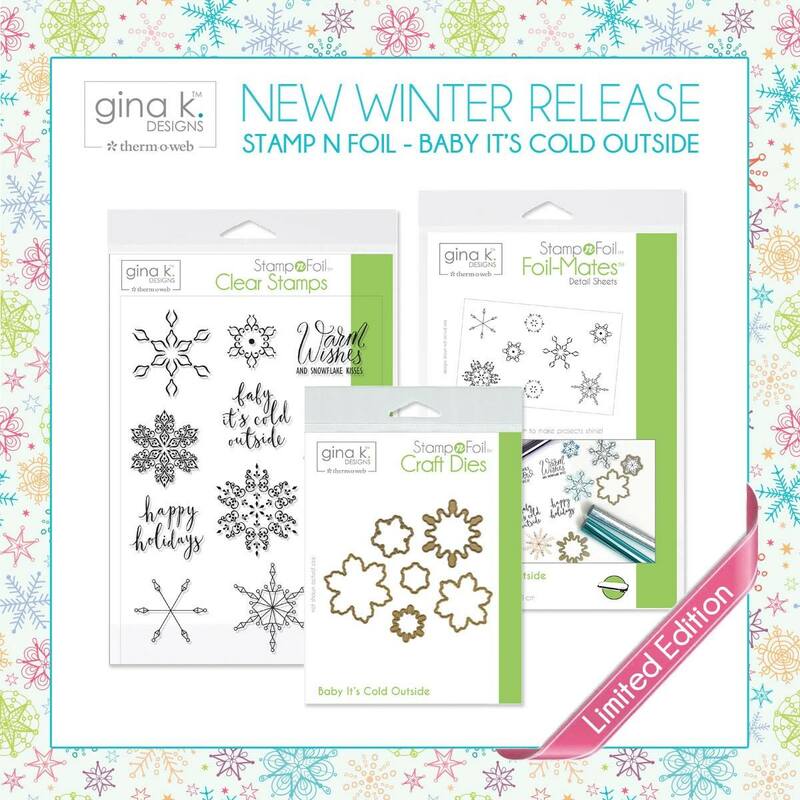 The first one is a flaky design with the Baby It's Cold Outside collection. The flakes are foiled with Turquoise Sea Fancy Foil, and two step stamped with GKD Plum Punch. The greeting is stamped in Tranquil Teal (as are the flakes plus a few stamped off in the Plum Punch) on the White mat and then mounted on a coordinating GKD Pure Luxury Tranquil Teal. The die cut flakes are popped up with foam squares. I love how much interest and dimension you can add when you stack the flakes on top of each other! I die cut the four pieces and popped these up over the cut and foiled and stamped light bulb border. Card base is GKD Pure Luxury Red Velvet. 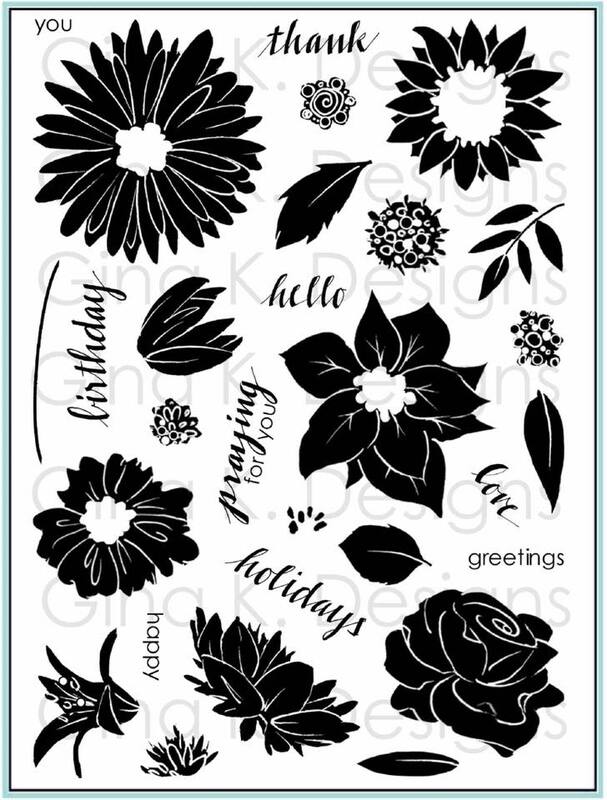 This last card uses Foil-Mates and stamps from *both* the Holly Jolly collection and Baby It's Cold Outside. 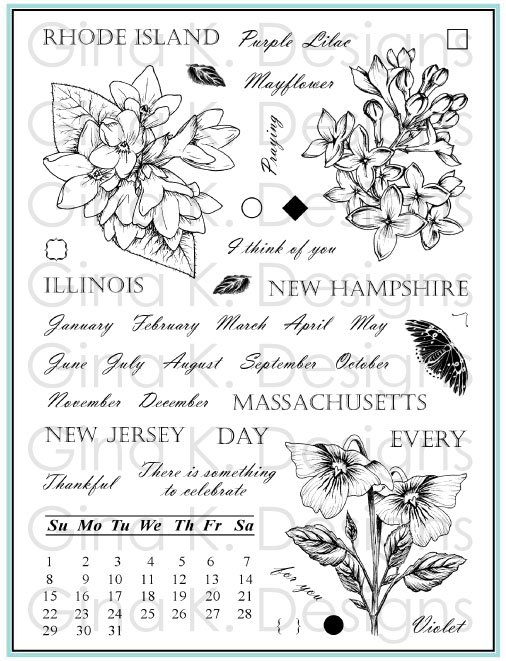 I think the flakes and flowers are fun together! and. I stamped up a few flakes and a greeting in GKD Turquoise Sea ink on Pure Luxury Sea Glass and then popped up the die cut and foiled (Turquoise Sea Fancy Foil) flowers and flakes. 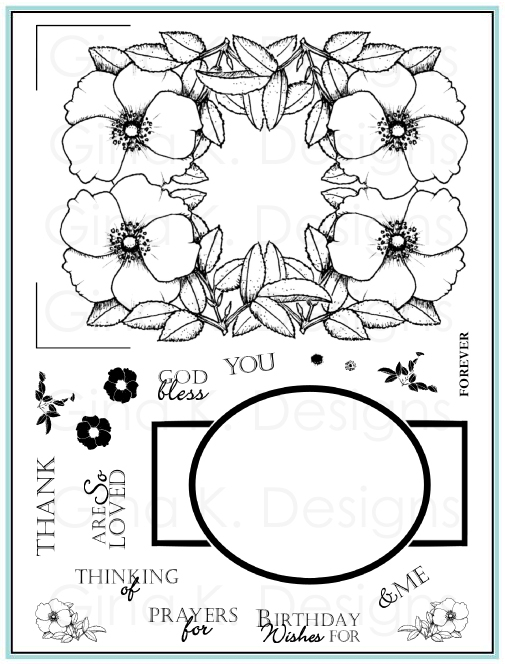 The die cut foiled pieces are two step stamped with GKD Red Velvet, Dusty Rose, Lucky Clover and Jellybean inks. This is all mounted on GKD Red Velvet and White Pure Luxury. All new products are in store now, shop here! (And don't forget the dot runners!) 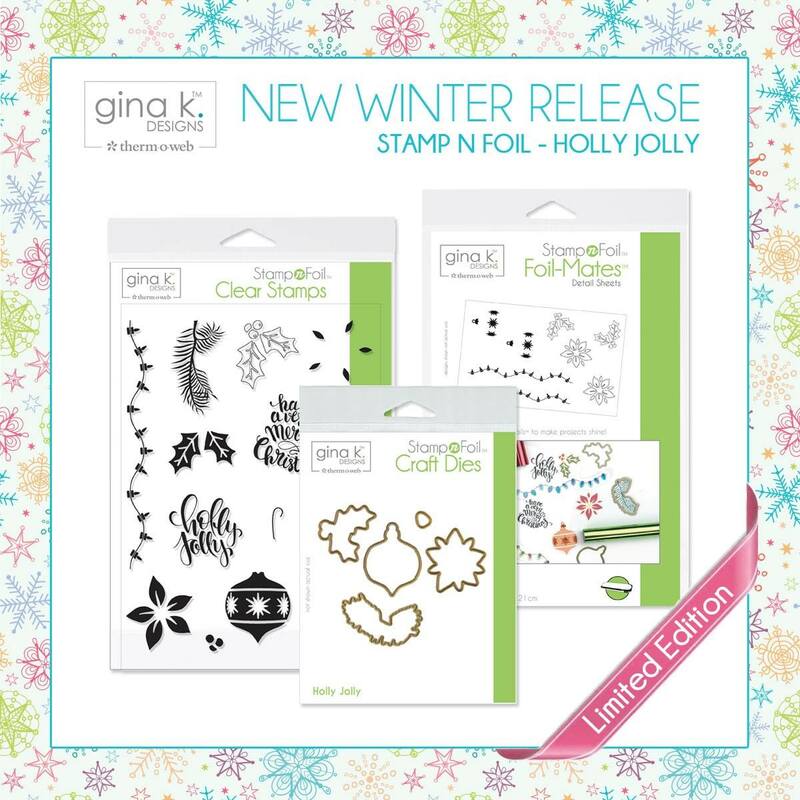 All of the new Stamp-n-Foil products are now available for preorder in the What's New category at www.ginakdesigns.com. They will begin shipping this Friday. Now please enjoy more foily, fancy, stampy ideas from our talented design team now! Melanie Muenchinger-you are here! Thanks for visiting! haha! I had misplaced my foils too but did find them! BUT, your creations are still gorgeous Mel!! No matter the foil color! Your stuff is always so beautiful. Love it when I learn something. Making/drawing your own twine, I don't think of that. That turquoise sea with red does look striking. Pretty cards! One more thing i couldn't fine, my red twine! Had to call an audible! I know, right? I couldn't even believe it while I was editing the photo! Your cards are darling. Makes me think of the 50's and have a very retro look! Sometimes limiting your choices helps design better cards!!! Ellie, you totally get what I was going for when all I had was turquoise foil! Gorgeous creations! Great release! I especially love your snowflake kisses card! Cute cards! I especially like the non-traditional variety of colors you used! Just love those lights and snowflakes - beautiful cards. 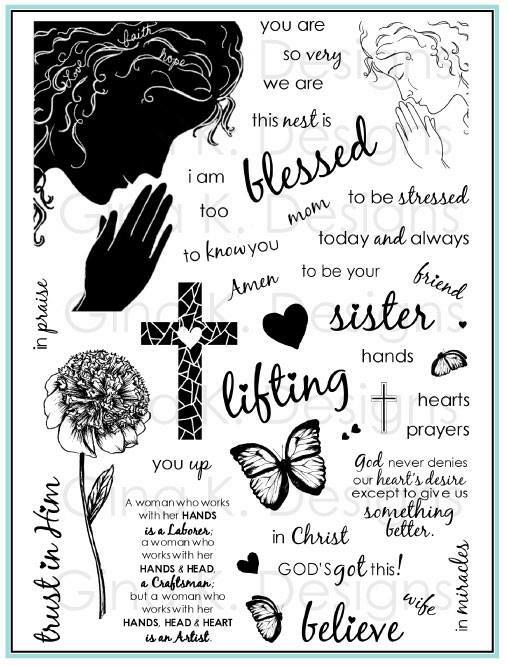 Beautiful cards, Melanie! Love all the sparkle and pretty non traditional colors! Beautiful cards. 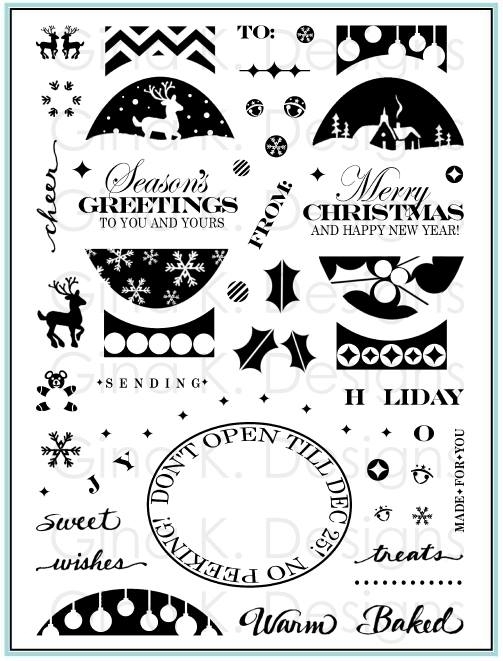 Love the Holly Jolly stamp set. I’m living all these snowflake cards. Beautiful cards here. I just love your snowflake card. Love using blue for Christmas. 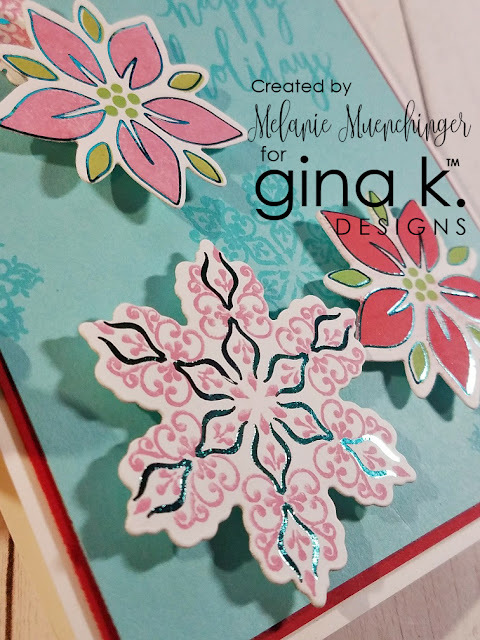 Snowflakes cards are beautiful! These cards are beautiful with or without foil. Love the inspiration. Oooh- absolutely the way to get us in the Holiday mood. Love them! I love the cards you made and so glad you found the Turquoise Sea foil as it works beautifully with all of them. Love these cards - very festive! 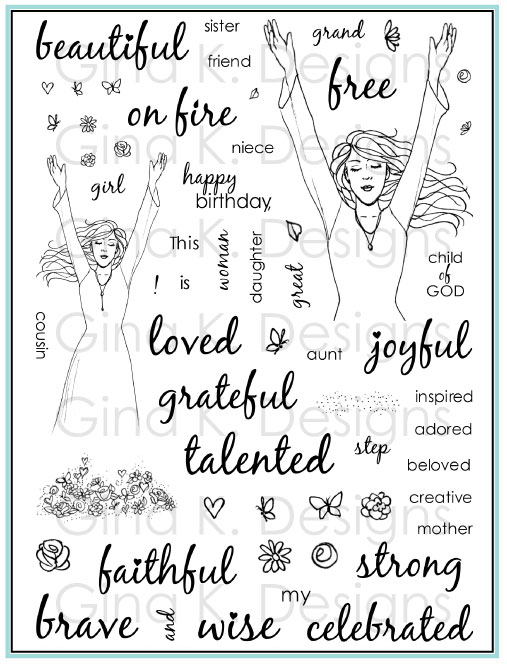 Lovely cards, I especially love that first snowflake one! Thanks for the inspiration! 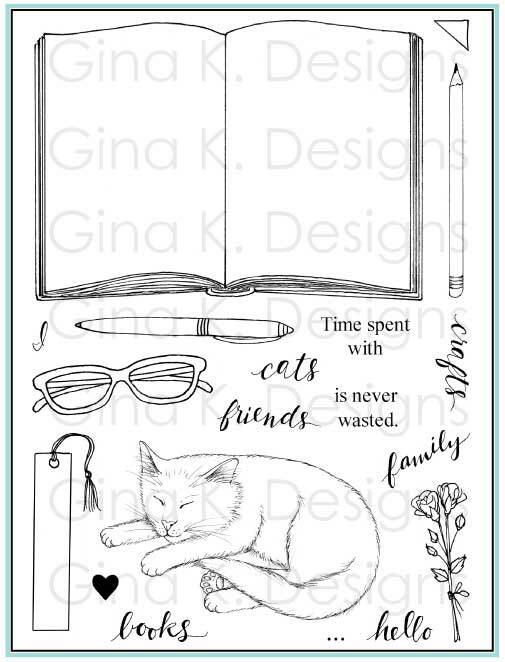 Mix and Match....I love that about GKD products...awesome cards! I love your cards Melanie! Lovely cards. Love the subtle bit of foiling. OMG! I love the colors you used! All are beautiful! I am so glad for this Hop & Giveaway. Today, I've learned about what Stamp n' Foil is, and some hints as to how to apply. It's quite exciting and I'm looking forward to using it. Thanks for all your pretty, shiny samples. Your different colors are cool!!! these are all so beautiful! you stole my heart with pink and purple snowflakes! love them! Great cards, love the colors! Your Christmas cards are so beautiful! Love them. Beautiful cards! 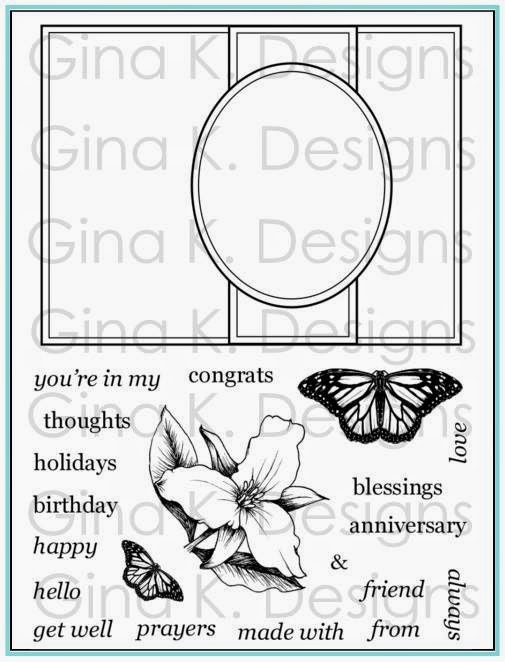 Love these new images, dies and foils! Thanks for sharing! Pretty and festive. I like your choice of colors. I love you first snowflake card, That card rocks! Melanie your cards are always so pretty! Love those colored snowflakes! Love the color combos you used on your cards. Wonderful! As usual, your cards are great! My favorite is the snowflake card. Thanks for sharing your ideas. Love turquoise and red too! All your cards are perfect. So inspiring! I hide things from myself all the time. Very pretty cards. I think my favorite is the Holly Jolly ornaments. I love your color combinations! All of your cards are so festive and fun! 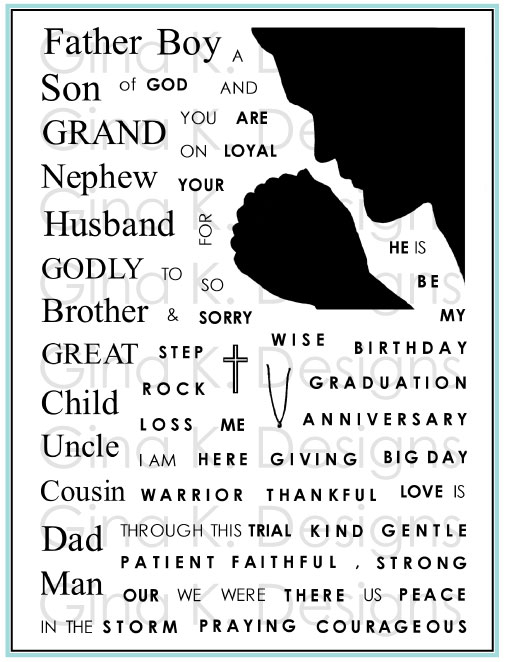 Beautiful cards, can't wait until I get my order!! Fantastic release! I love snowflakes and those lights are just adorable! Beautiful cards. Love the layering. makes such a big difference. Beautiful cards. I love the poinsettias and the snowflakes. I love using snowflake images -- here in Texas that's usually the only way to see them! those plum/teal snowflakes are scrumptious! 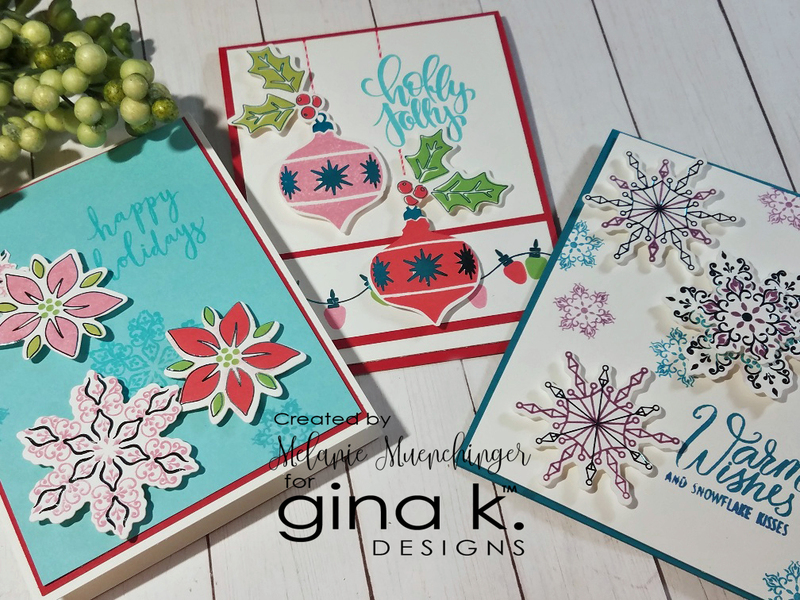 Lovely cards,wonderful colors and like the flakes and flowers combo. Melanie, I have enjoyed your work for a long time. You are so talented and have a real love of your art. Thanks for showing me so many things in card making and just life. Another finely prepared card. Love them. Love all of your cards! Thanks for the inspiration! Such beautiful projects with these gorgeous sets! Excited about this release! Gorgeous cards! Love the snowflakes and the poinsettias! It's not necessity that's the mother of invention, it's absentmindedness! I'm glad I'm not the only one who has issues with this. But you definitely made it work! The turquoise and plum combo is particularly lovely. Thanks for sharing with us! Stunning cards! Such beautiful designs. Love your color combinations. Fun cards-such wonderful colors and designs. Gorgeous cards! I love the colours you used for your warm wishes card! Had to laugh out loud when I read that your foils are MIA! Funny thing is I can relate to your dilemma. Melanie, your work is fabulous, and I especially love your colorful snowflakes on your first card. Fun hop and great release! These cards are beautiful. 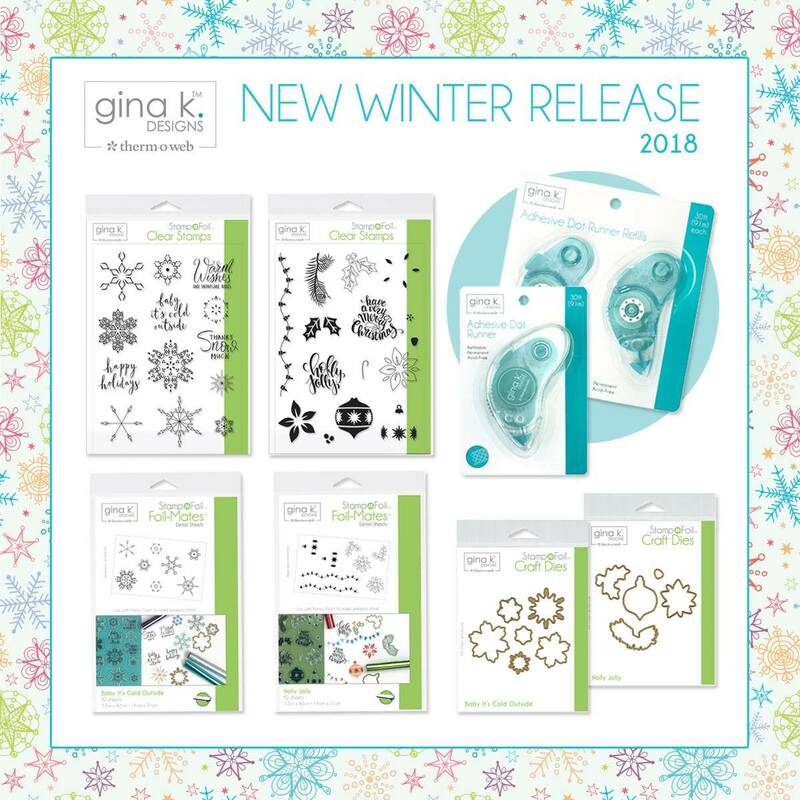 Especially love the one with the snowflakes! Hope you find your foil soon. Nice work! Love the card with the ornaments on it! Your cards are beautiful! 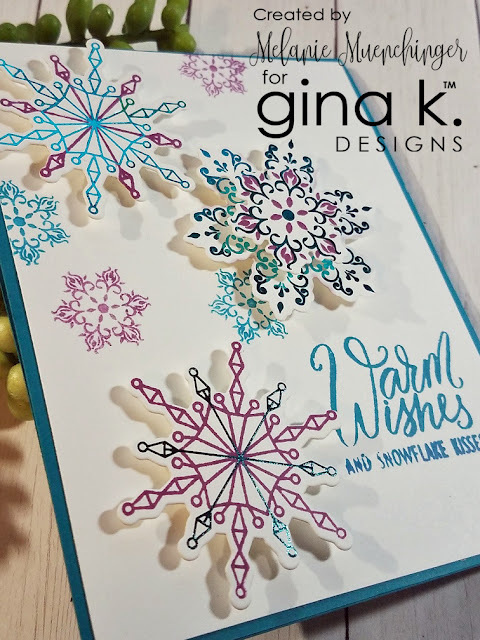 Love the colors for the snowflake card! Oh first, I love the wonderful color palette you've used - it really brings out the joy of these holiday cards! The designs are just super! 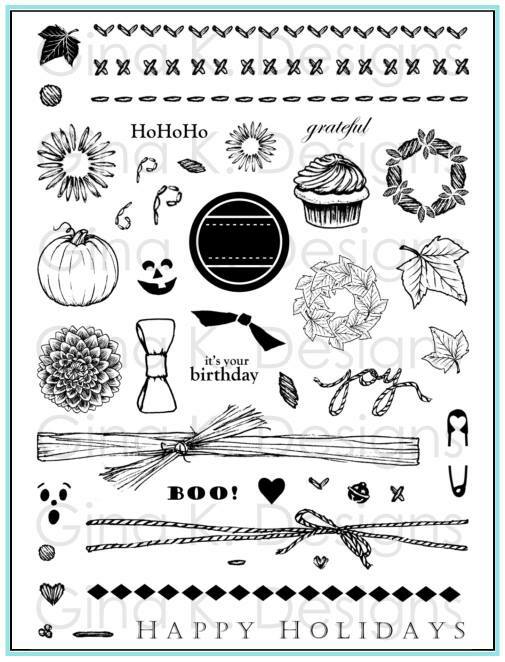 Stamptember: Joy of the Season, Now Available!